Every Small business tries it’s the hardest way to reach their audience on a large scale. Reaching every easy and difficult possibilities in client conversion and brand engagement, here are few facts for not only a small business but every business, to follow and make use of them wisely. More than 38% skip the website if your website isn’t that beautiful to engage or attractive. So, make sure that having an attractive webpage makes your audience more engaged. 2. More than 48% skip the website if your website isn’t that beautiful to engage or attractive. Also, the majority of the audience preferred website design as the credibility criteria for rating a website. Check why a good UX and UI is important for a website and make sure that having an attractive webpage makes your audience more engaged. The first impression is always the best impression to considered in web design. Also, there are many chances to disappoint your audience. 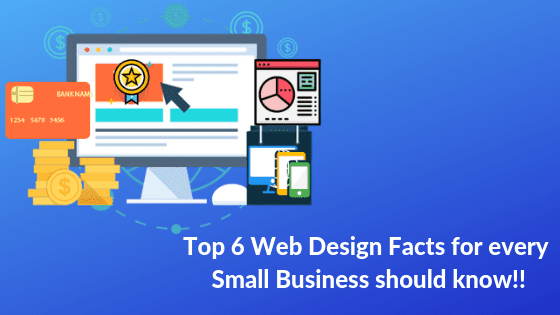 Hence, make sure your website is super attractive with fewer complications for greater customer engagement by getting your work done in a good web design company. The very next criteria kept in mind while visiting people your website is the page load time. Your audience expects your website to load within 7-10 /sec. Yes, they expect it to happen within a fraction of second and 38% stop visiting your website if the load time is more. Up next, your purpose of online existence put into test. The views will look into your company/brand’s product service page before looking into any other pages and more than 50% form the population if the contact information is not justified. Adding to this your trustworthy content turns your visitors into Overwhelmed consumers. Mobile responsive website yield 65% of client conversion since the majority of the visitors are from mobile phones and 40% will skip your service and opt your competitor. 46% switch devices & 39% stop engaging if Images load is slow. 44% switch devices & 39% stop engaging if the webpage load is slow. 30% switch devices & 38% stop engaging if Content is lengthy. 35% switch devices & 38% stop engaging if the content is unattractive and finally Laptop/desktop a device used widely, but the smartphone is most common among the visitors. So, what really matters is the above-reported data. Hence modify if you find any of these above issues. If you are really in need of help. We are glad in helping you.